When Trevecca’s own Ray Thrasher passed away in January, Trevecca Athletics lost one of their most ardent fans. A longtime baseball supporter, Thrasher was often a fixture at games. On April 12, the Trevecca baseball team will honor the campus icon by celebrating Ray Thrasher Jersey Day. 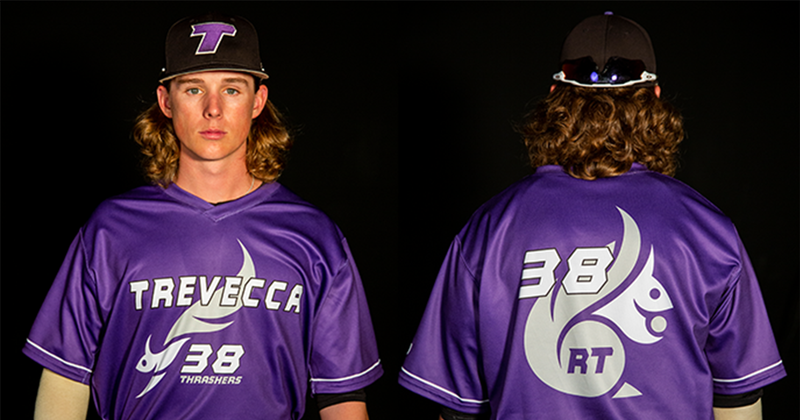 During the game, players will wear specially designed jerseys emblazoned with Thrasher’s name and initials as well as a squirrel, a nod to Thrasher’s long tradition of feeding Trevecca’s squirrels. The game-worn jerseys will be auctioned off online following the game. Daniel Dryden, Thrasher’s great-grandson and senior baseball player at Ezell Harding High School in Nashville, will throw out the first pitch. Many of Thrasher’s friends and family members, including Gerald and Ruth (’51) Dryden, John (’65) and Jeanne Sugg (’65), Will Dryden, Don Dryden (’83), DeWayne (’83) and Patty (’81) Dryden and Naomi Sugg, will be in attendance. Thrasher, who served the University for 40-plus years, played an instrumental role in the planning and construction of Waggoner Library, completed in 2000. A longtime librarian, she passionately championed the need for a new library, urging Trevecca leaders to give it top priority among several campus projects outlined in the University’s long-term development plan. Her persistence paid off. Construction for Waggoner Library began in 1999 and the building was dedicated in November 2000. Thrasher served as the director until 2001, but continued to work at the library, serving as a technical services librarian until her retirement in 2009. An alumna of the University, Thrasher graduated from Trevecca in 1964 with a degree in education. After briefly teaching in Alabama, Thrasher returned to Nashville, earning a master’s degree in library sciences at Peabody College and working in Trevecca’s library. For most of those years, Thrasher lived on Trevecca’s campus, residing in Trevecca Towers until the fall 2018. She walked the campus most mornings, feeding the squirrels, a tradition she’d begun early in her tenure at Trevecca. 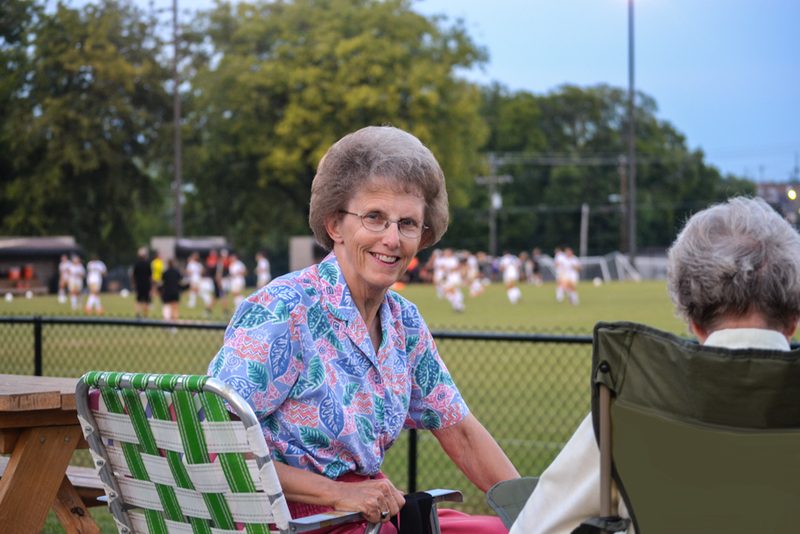 An avid sports fan, Thrasher was a regular at Trevecca sporting events and often prayed with teams before their buses left campus for away games. Trevecca will face off against Davis & Elkins at 2 p.m. on April 12 at Jackson Field on Trevecca’s campus. The online auction will begin at 3 p.m. on April 12, with all proceeds benefitting the C.R. and Ray Thrasher Scholarship fund. The auction will be accessible at trevecca.edu/thrasher.